Come and explore streams in Geauga County as part of the Millennium Youth Conservationists (MYC) team! The adventure begins in June and concludes in August. It is free, twice a month, and all ages are welcome! Join us for one outing or for all. Work is done in collaboration with the ODNR Scenic Rivers Program. We will use kick seines, sediment sticks, phosphorus test kits, and more to determine the health of area streams and rivers while providing official stream data to ODNR. 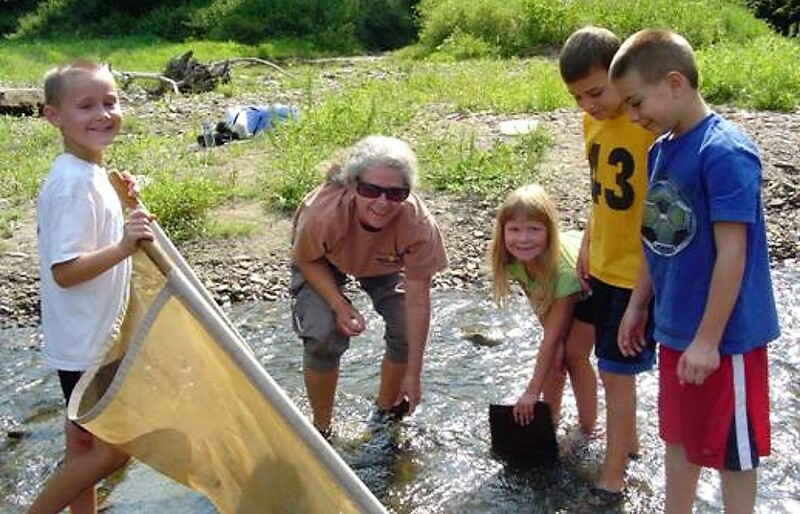 Discover aquatic critters such as crayfish, dragonflies, water pennies, caddisflies, and others living in our local streams. Contact Colleen Sharp with the Geauga Soil and Water Conservation District by phone (440) 834-1122 ext. 6 or email csharp@geaugaswcd.com for more information.